The Bridgettine guesthouse in MariboOn the townâ€™s shield of Maribo Saint Bridget welcomes guests of the town. 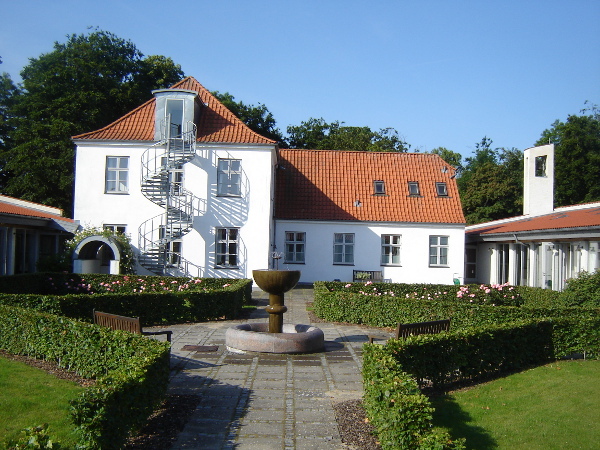 Maribo is the Danish name of the Bridgettine Abbey â€“ Habitaculum Mariae â€“ from which the town developed in the 15th century. 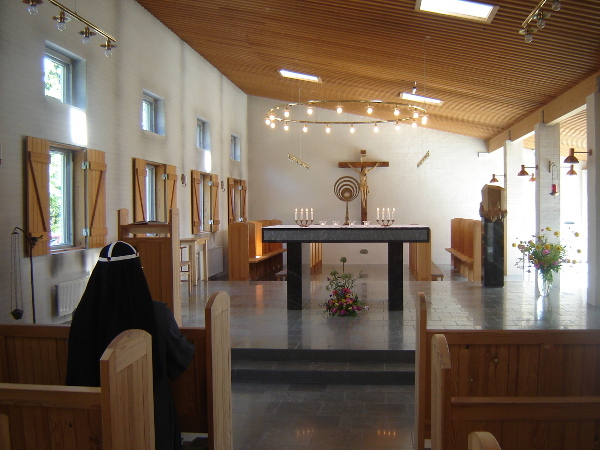 The Bridgettines have now returned to Maribo, and the new convent, located only a few kilometres from both the ruins of the original and from the abbey church which is now Maribo Cathedral, is also called Habitaculum Mariae. The Housse of Mary. The new convent is situated on the shores of the picturesque Maribo Lake with wonderful opportunities for walks in nature. The Bridgettines welcome individual guests and small groups in their guesthouse where one can join them in prayer and the celebration of the Mass as well as enjoying the peaceful silence.All rooms have bathrooms and meals can be ordered, from breakfast to full board.